Hey guys! Today I have a little more info on the nails I wore last weekend on my birthday! 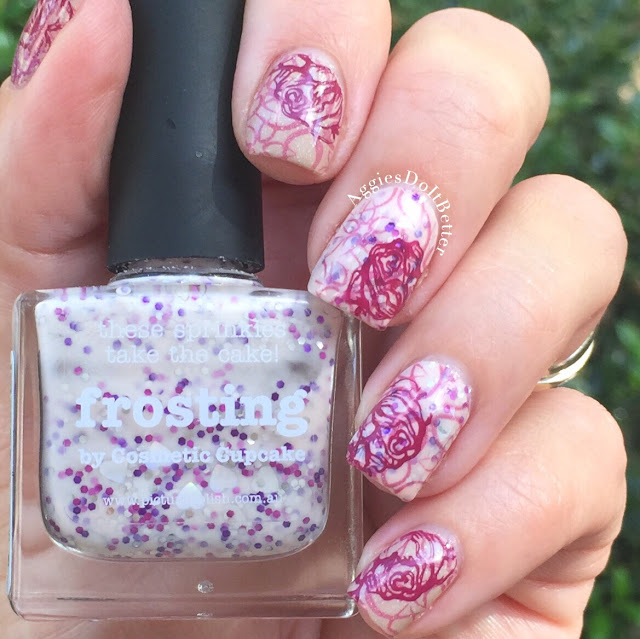 I have a little tradition of always wearing Picture Polish Frosting (now discontinued) on my birthday. Four years ago, I ordered it for myself as a birthday present and it was my first Picture Polish. Since then I always wear it, while still trying to change it up a little every year! I also juuuuuuust started stamping, like for real like 5 minutes ago. I ordered myself a few quality plates (*key*) and a clear stamper and just jumped right in with the big kids. So far, it's going really well! I wore Frosting on my 2nd and 3rd finger as a base, and Cherish (also PP) on the rest. 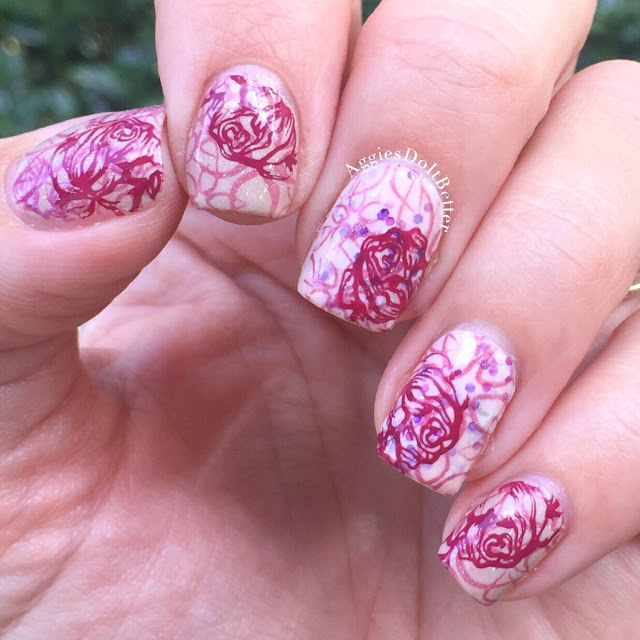 Then I stamped with New York (the lighter pink) and Bonkers (maroon) using the Pueen Nature Lover 01 plate. I found it not super complicated! 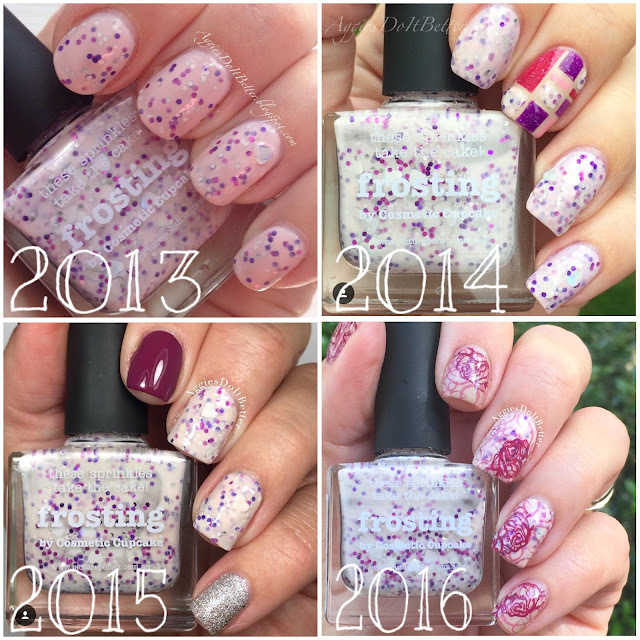 Here's a look at my past years manicures! In 2014, I used striping tape and color blocked with Shocked and Shy Violet. 2014 Blog here! In 2015, I opted for a mix and match with Bonkers and OPI It's Frosty Outside! 2015 Blog here! I wonder what I will do next year?! I'm open to suggestions!! Does anyone else have a polish they save for special occasions and wear regularly on them? ?